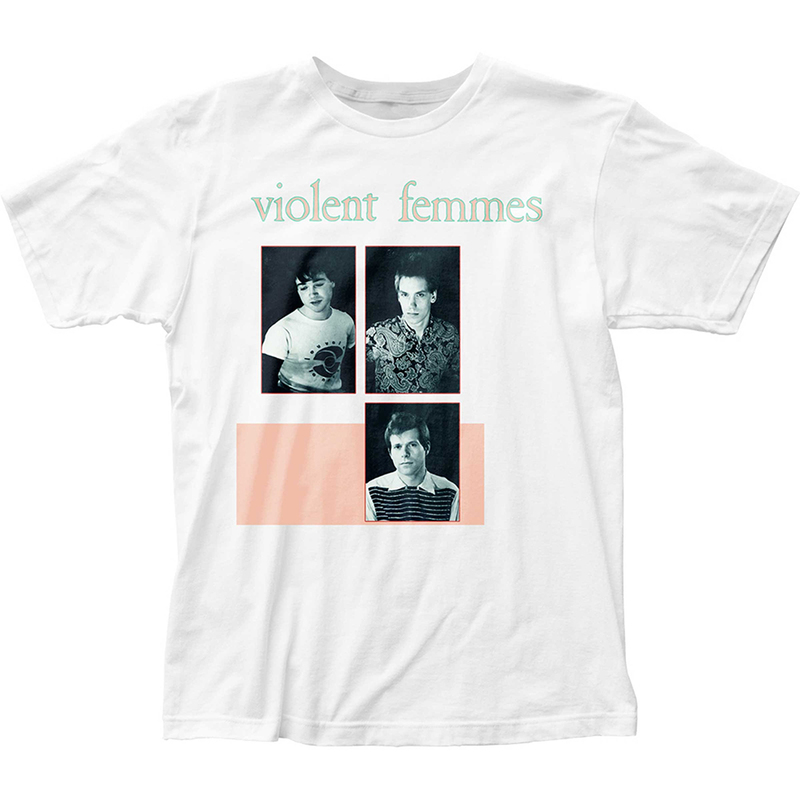 The textbook American cult band of the 1980s, the Violent Femmes captured the essence of teen angst with remarkable precision; raw and jittery, the trio's music found little commercial success but nonetheless emerged as the soundtrack for the lives of troubled adolescents the world over. The group formed in Milwaukee, Wisconsin in the early '80s, and comprised singer/guitarist Gordon Gano, bassist Brian Ritchie and percussionist Victor DeLorenzo; Ritchie originated the band's oxymoronic name, adopting the word "femme" from the Milwaukee area's slang for wimps. After being discovered by the Pretenders' James Honeyman-Scott, the Violent Femmes signed to Slash and issued their self-titled 1983 debut, a melodic folk-punk collection which struck an obvious chord with young listeners who felt a strong connection to bitter, frustrated songs like "Blister in the Sun," "Kiss Off" and "Add It Up." Though never a chart hit, the album remained a rite of passage for succeeding generations of teen outsiders, and after close to a decade in release, it finally achieved platinum status. With 1984's Hallowed Ground, Gano's lyrics began to reflect his devout Baptist upbringing, while the Femmes' music approached more traditional folk and country structures. Produced by Talking Heads' Jerry Harrison, 1986's The Blind Leading the Naked advanced towards a more mainstream sound; a cover of the T. Rex chestnut "Children of the Revolution" even became a minor hit. After the record's release, the Femmes temporarily disbanded: Gano recorded a self-titled 1987 album with his gospel side project the Mercy Seat, while Ritchie issued a series of solo LPs including 1987's The Blend and 1989's Sonic Temple & Court of Babylon for SST. (I See a Noise appeared on Dali Records in 1990.) In 1989, the group resurfaced with 3, and followed in 1991 with Why Do Birds Sing?, which featured the Femmes' deconstructionist cover of Culture Club's "Do You Really Want to Hurt Me?" Following the release of the 1993 compilation Add It Up (1981-1993), DeLorenzo exited the Violent Femmes to resume the solo career he began two years prior with the release of Peter Corey Sent Me; his sophomore effort, Pancake Day, appeared in 1996. Former Oil Tasters and BoDeans drummer Guy Hoffman was tapped as DeLorenzo's replacement in time to record 1994's New Times for Elektra Records which proved their sole release for the label. Rock!!!!! was released in 1995 on Mushroom Records only in Australia; the live Viva Wisconsin followed on the American indie label Beyond in 1999, trailed early the next year by a new studio effort, Freak Magnet. In the spring of 2001, the Femmes released their first MP3-only album, Something's Wrong, through the website EMusic.com; it collected an assortment of rarities, including covers, acoustic live tracks, alternate versions, demos, and the like. In 2002, Rhino/Slash reissued their debut as a two-disc Deluxe Edition that featured twenty-two previously unreleased tracks, followed by Permanent Record: The Very Best Of in 2005.